To many, modern mathematics and Africa are not synonymous. Open any school mathematics book and the role of African scholars has been relegated to the category of ‘ethnomathematics’, as if mathematics here was in some way linked to tribalism. The contribution of African women to the development of mathematics has also been relegated to the sidelines. 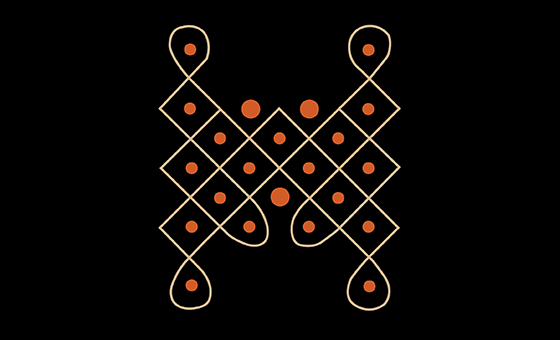 However, the Sub-Saharan sona patterns, or sand graphs, which forms part of modern knot theory, is used in very important branches of pure and applied mathematics. The earliest mathematicians were from Africa and female?. Other early artifacts had markings of 28, which has been speculated to be an early count of the menstrual cycle. Were the earliest mathematicians female? The archaeological evidence certainly seems to suggest this. Tally marks, dated from 20 000 to 8000 BC have been found the in the Democratic Republic of Congo (DRC), which show a knowledge of prime numbers and were already using base-10 counting, which is the basis of much of applied mathematics and physics today. While the earliest mathematicians may have been female, the rise of patriarchal society placed mathematical knowledge primarily in the hands of males. 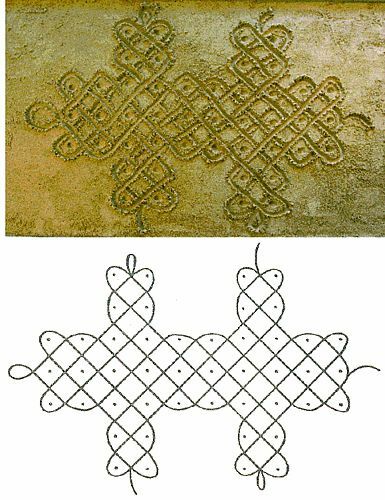 There is evidence that at the time of the Roman empire there was artwork based on meander patterns, which is also part of knot theory. At the same time there was evidence of sona patterns and knot theory in South India, Southern Africa and Celtic society. These developments were independent of one another. The sona patterns from Southern Africa demonstrated a geometry arguably far more advanced and abstract mathematics than the Euclidean geometry of the ancient Greeks. Yet, the knowledge of these highly complex patterns predate written history and were preserved through story-telling among male hunters and male initiation ceremonies. There were male experts, the akwa kuta sona, who ensured that oral history preserved the gains of mathematical thought. It could be argued that the free labour of subject women subsidised the preservation of sona mathematics. The Yombe women in the Congo used their knowledge of sona geometry to weave intricate designs in mats. This art form also served as a means of transmitting knowledge from one generation to the next. In ancient Greek and Roman society it was the unpaid slave labour that subsidised their ethnic cultural development, of which the mathematical sciences was part. 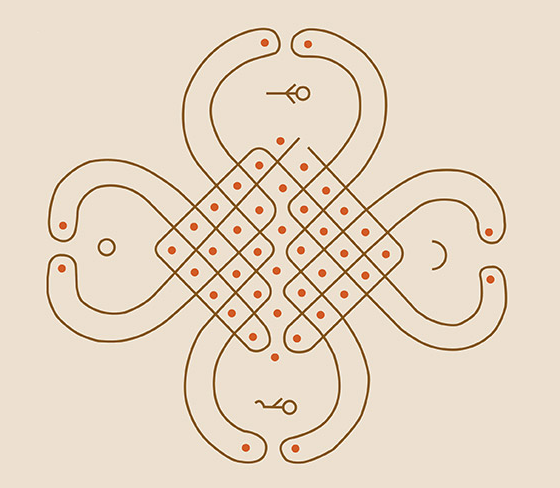 As colonial and neo-colonial society developed and disrupted the oral and art traditions, there is a danger that many of the earlier theoretical advances in mathematics may be lost. They can be in the form of monolinear (one line) or several lines enclosing all designated points without repeating itself. For example, there are at least 3 ways of enclosing this array of 5 dots with a single line. They are from 3 different families of line spaces. 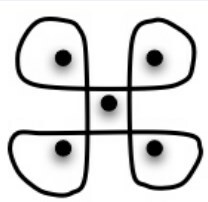 Consider the dots on the 6 faces of a regular die. Using pen and paper, or a patch of sand and your finger, can you draw a sona pattern, surrounding each dot, using a single line, without lifting your pen (or your finger), without the pattern going over itself more than once? Try the patterns of each of the 6 separately. Why not experiment with a square array of dots and a rectangular array of dots. Welcome to the world of sona geometry. Mathematics should not be limited or regarded as the domain of males. Everyone can do mathematics. Basket weaving involving sona patterns could be seen as a resistance by females against male monopoly of mathematical knowledge. This needs to be extended. We need mathematics for the billions, not an elite. Further, the development of mathematics and science is an international task. It is incumbent on us to launch a project to systematically record all the remaining sona patterns which are currently in the hands of the last remaining akwa kuta sona and the female weaver-artists. Who knows, perhaps several mathematical proofs of current challenges may already exist?